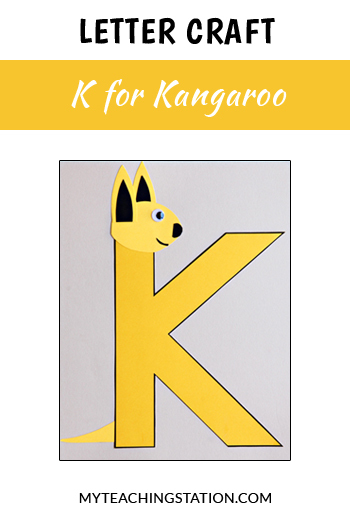 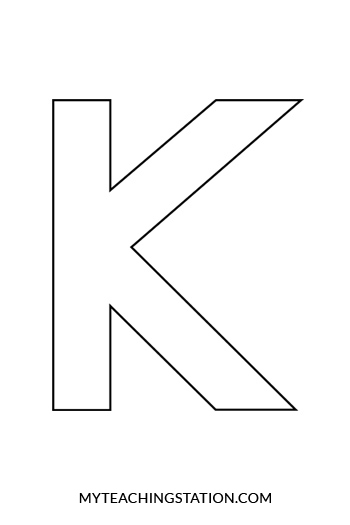 Letter of the week craft activity: Letter K is for Kangaroo. 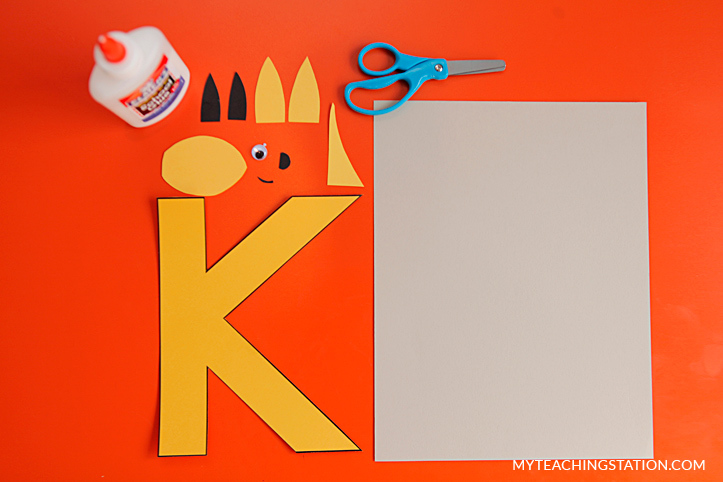 Simple and easy letter craft for children in preschool or kindergarten. 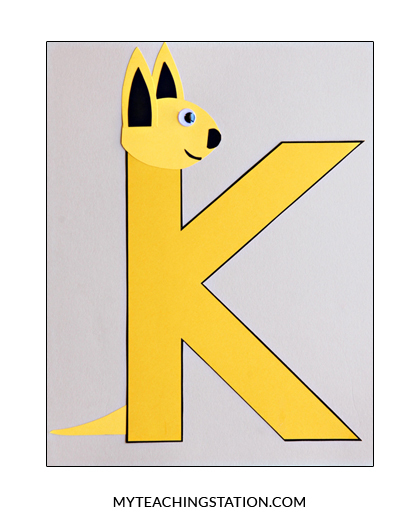 Arrange and glue the pieces to create the kangaroo as illustrated.